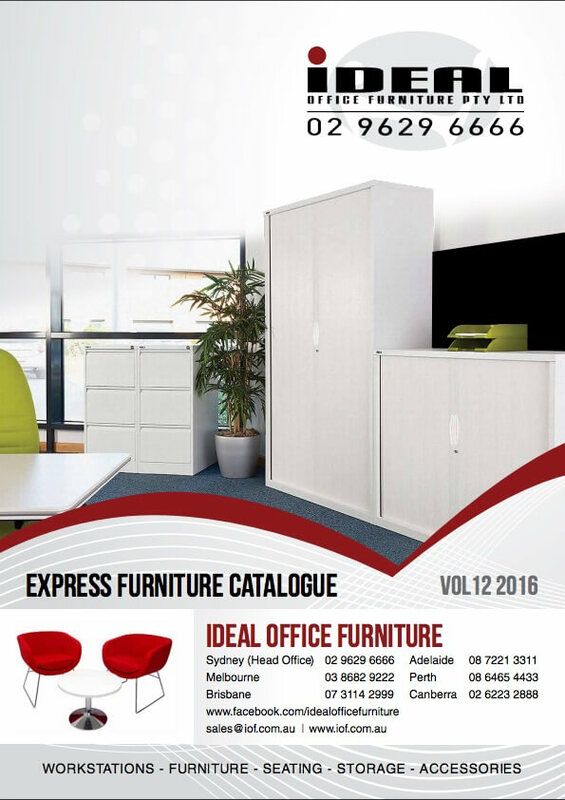 IDEAL Office Furniture, Ready Made Express Delivered Office Furniture Catalogue Here! Office Chairs, Office Furniture, Storage Solutions, Whiteboards and Reception Furniture at Lowest Prices! Complete Range in stock and can be delivered nationally in either boxed form or fully installed by our professional installation team. View the Online Catalogue below by selecting the pages on the gigital Magazine below or Phone our Sales team for further Assistance. IDEAL Office Furniture, Lowest Prices, Unique Products & Best Service! IDEAL Office Furniture are pleased to announce their new Price Beat Guarantee Policy. Across all ranges including Office Chairs, Filing & Storage Cabinets, Office Desks and Whiteboards. 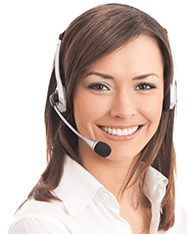 IOF have huge stock on hand and if we cant price match or beat on a like for like product we will happily upgrade you to the next model up at no additional charge. We at Ideal Office Furniture realise the importance of offering versatile, reliable and unique products to the market and often with that comes increased costs which end up being handed on to you, the customer. With our new warehousing and increased floor spaces our buying power has increased significantly which has allowed the introduction of our new Price Beat Guarantee. How does it work? Simple, if you find a product at a competitor that is like for like with a product that you have located or been quoted on from Ideal Office Furniture, we will match or beat it on the spot. If we don't offer the exact same product that you have seen or been quoted on elsewhere we will simply upgrade you to the next model up at no extra charge. IDEAL Office Furniture has been busy setting up distribution networks in almost all capital cities across Australia to ensure the fastest delivery times are achieved, along with reducing freight costs to ensure our products are priced at the most competitive rate. The new range of office chairs recently added includes an AFRDI Level 6 family of chairs, educational seating and presentation products. IDEAL Office Furniture are adding new products on a daily basis so for the latest in design, style and ergononmics look no further, our sales and design team are ready to help with your enquiry / purchase. With new ranges being added to the range on a regular basis there is always clearance stock available at wholesale prices so please ask your sales and design consultant and they will be happy to do a warehouse check to see what products are avilable at reduced rates. IOF Launch the New Mesh Office Chair Range including the "Eliza Ergonomic Mesh Chair". For the latest in Office Furniture, Office Chairs and storage solutions contact your local sales and design office. IDEAL Office Furniture are pleased to launch their new range of quick ship workstations, office chairs and desking systems. This Exciting New Range of commercial Desking is in stock, can be customised and is ready for immediate national delivery. Included in the new range is the Pronto 3 System with Slimline screen system and cable basket management, the System One with C-Shape Leg System and telescopic beam to accommodate almost any work surface size of configuration and the Height Adjustable Range. 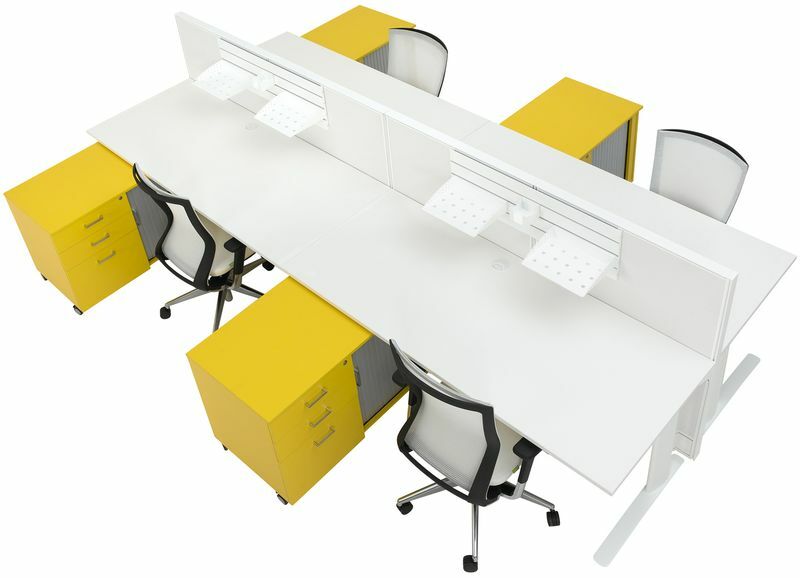 For the latest in workstation design with a splash of colour for that unique and corporate look please phone your local sales and design office and we will be happy to help. Ideal Office furniture also offer a free measure and quote service along with space planning using scale to ensure all items will fit comfortably and ergonomically.